Kosciusko Chamber of Commerce held a ribbon cutting at Campbell & Fetter Bank, located at 2926 Frontage Road, Warsaw. 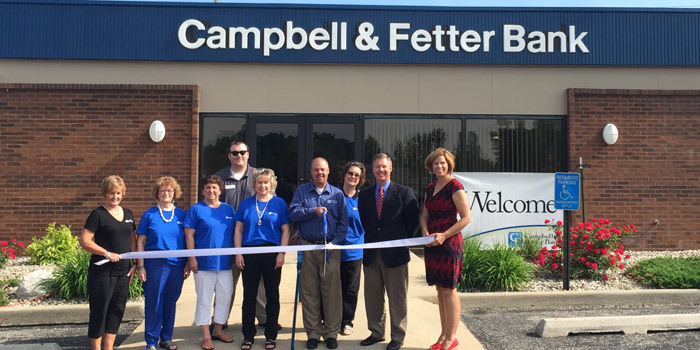 Campbell & Fetter Bank, Warsaw branch, is celebrating 30 years, although its first branch in Kendallville was established in 1864. The Warsaw branch has remodeled the interior and has done some exterior touch ups. Visit www.campbellfetterbank.com for more information.